generally we do all the experiments regarding vapour pressure in a closed vessel, so the volume must remain constant and from the formula $PV=nRT$, the number of moles remains constant in a binary solution, as volume is remaining constant we get the equation as $Y=mX$, which is a straight line passing through the origin, but the answer was a sigmoid curve, how did we get that, can i get an elaborate answer for this quiery. Above is a graph of the Maxwell Boltzmann distribution at several temperatures. Imagine a point on the x axis being the point at which a liquid particle has enough kinetic energy to leave the solution. As you can see, each increase in temperature results in a larger number of particles with enough energy to vaporize. This generates an exponential graph for VP vs T. However, eventually you reach the point where all of the liquid has reached the gas phase. 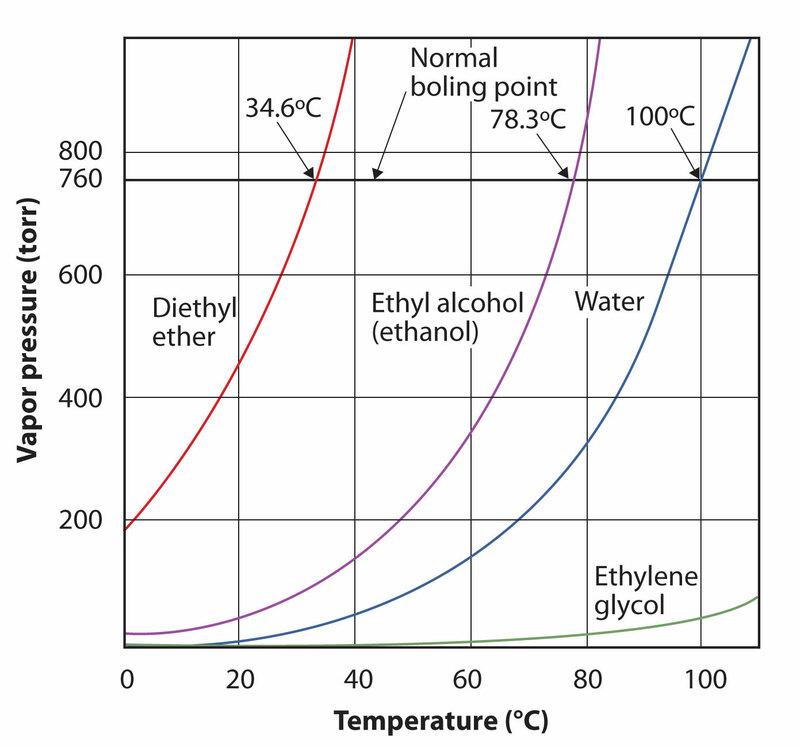 Then you have a linear graph of P vs T.
What is the differences between partial pressure and vapour pressure? If some particles of liquid in a solution convert to vapour then why can't some liquid particles convert to solid? Is vapour pressure of a liquid solution constant at a given temperature, no matter the size of closed container and amount of liquid taken? Why doesn't the vapor pressure of water depend on the humidity?